Alan and Wendy Baird did a great job organising the camping weekend at Wickham Market. They had produced routes for all 4 days. There were 15 tandems and 3 solos so the Sunday ride was split into 2 groups The first group left Wickham Market at 9.15am with the 2nd group departing at 9.35am. It was overcast and a bit cool for the time of year with a moderate wind. First stop was at Peasenhall after 12 miles, the cafe had been pre booked and the faster group were about to leave as the 2nd group arrived. Excellent planning by the Bairds. 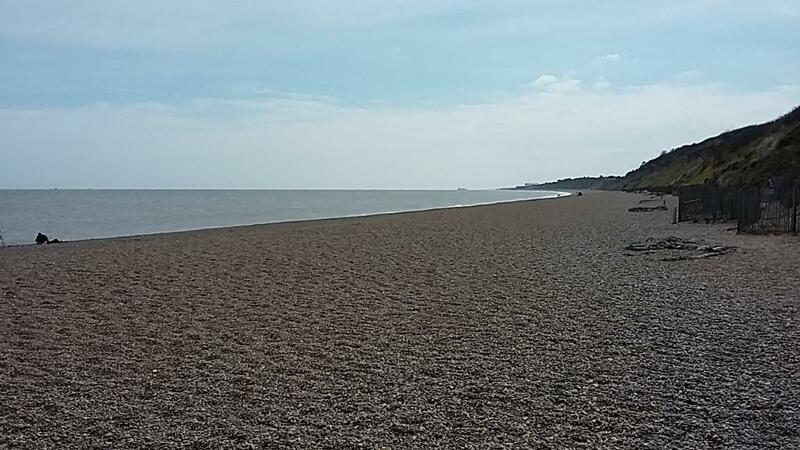 The next stop was at Dunwich after 27 miles for lunch. It was pleasant enough to sit outside and eat our fish and chips. Again the timing was perfect and the 2 groups managed to have a chat while dining. With 7 miles to go the 3rd stop was at Snape Maltings. After a welcome drink and a short break we set off on our final leg back to Wickham Market where there was a small celebration for one of the riders 80th Birthday and of course cake was involved. The roads we took were small and hardly any traffic. The ride was very enjoyable thanks go to Alan and Wendy Baird for organising a great weekend. We went back to the cottage, bathed, has a pizza and spent a nice evening in front of the fire with a few friends.